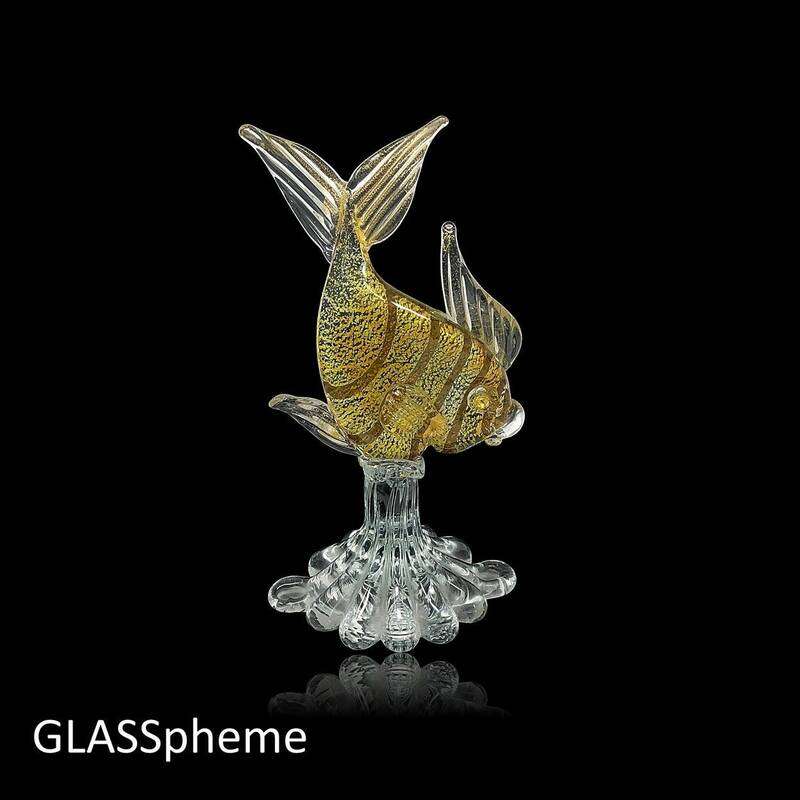 Feast your eyes on this gorgeous C.1950s Murano glass fish with gold aventurine flecked accents by A.VE.M (Arte Vetraria Muranese). 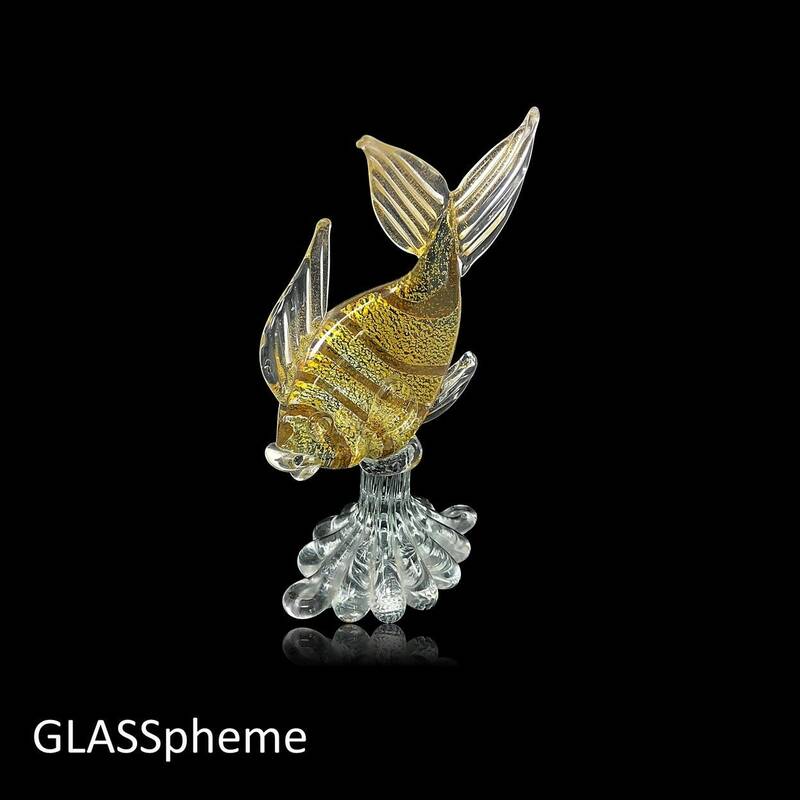 AVEM, in my opinion, is a much-undervalued mid-century Murano furnace when it comes to glass fish and bird sculptures as they were mainly distributed unbranded under generic Made in Murano Italy labels and more difficult to identify as A.VE.M production. Notice the eyes and lips on this beauty--identical to two other A.VE.M fish I have listed here. And the base is well documented as an AVEM production.